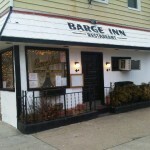 Few Jersey City restaurants look like they did back in the day; and very few were around in the 1960s like The Barge Inn restaurant a little jewel in Jersey City’s crown. 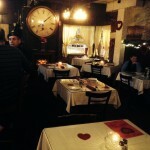 The Barge Inn serves Italian cuisine made from recipes handed down through generations. That’s why the food is so delicious – it’s authentic. 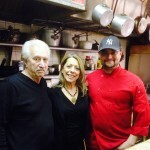 Owners Linda and Peter “Bitsy” Paldino run the restaurant which Linda’s dad John Marto opened in 1969. Linda remembers when Anne Polaro, sister to former Jersey City Mayor Anthony Cucci painted the murals depicting Italian scenes on the restaurant’s walls. Bayonne has its share of Italian restaurants and Bella Sorrellas on the corner of 50th Street and Broadway, stands out from the crowd with a menu of classic Italian dishes served with a home-style flair. Owner David Rivera opened Bella Sorrellas three years ago where the old Welcome Inn used to be. The son of Ana and Demetrio “Lumen” Rivera, David grew up watching his father run his Jersey City restaurants: The Seagulls Bar & Grill on Communipaw Ave; The Old San Juan on Jersey Ave; and The Fan Bar on Grove – and he knew early on he wanted to be a restaurateur like his dad. Rivera worked ten years as transportation supervisor for Christ Hospital in Jersey City and decided he wanted to go back to the restaurant business.